Have you heard the news yet? 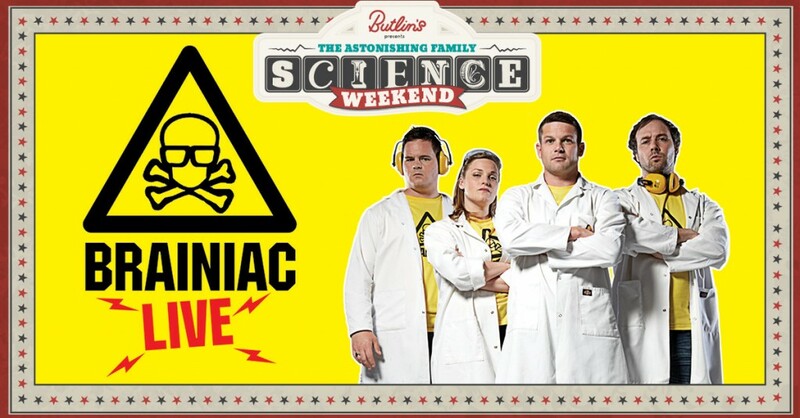 We’ve invented a new kind of entertainment weekend that’s been created with families in mind ….introducing The Astonishing Family Science Weekend! 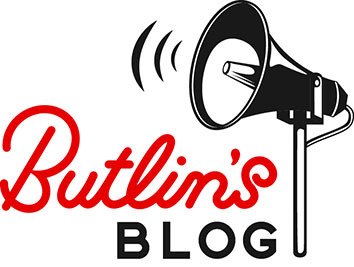 At Butlins, we’ve always had a passion for giving our guests something to take home that lasts longer than the few days of their break. In days gone by, children learned to swim with us, built their confidence by taking part in competitions or experienced something that they wouldn’t get to do at home. While we are still very much in the business of making memories, the world is changing. And that’s why we’re proud to present our Astonishing Family Science Weekend, designed especially for families with children and teens aged 6 to 14 years. We’re on a mission to inspire the next generation of scientists who want to learn and experience more, as we help them understand that it’s part of everyday life (not something that’s just reserved for lab coats and goggles!). We’ve teamed up with the UK’s best Science experts who share our passion for inspiring young people – The Science Museum, National Space Centre, Raspberry Pi and Aardman Animations to name but a few. They’ll be coming along to run workshops at Butlin’s Minehead 18-21 September 2015 where your children (and you!) can experience science in an interactive and engaging way that doesn’t feel like learning. We’ve also got some explosive science themed shows lined up from TV favourites Brainiac and Stefan Gates Gastronaut, with more to come! This break is unique. We’re fusing science with all the fun and entertainment that you’d expect from a Butlin’s break: our famous Splash Waterworld, traditional fairground fun and modern family accommodation, all in one place beside the seaside! So the price you pay gives you all that, plus every show and workshop during The Astonishing Family Science Weekend – though knowing your family are gaining knowledge and learning new skills to take home with them is priceless. Early bird prices start from just £79pp. Click here for more information on our explosive new break.